When I went to my first Akashic Records session, I had no idea what to expect. I knew it had something to do with past lives, but the level of healing I received in an hour was a shock. The woman who would soon become my teacher was able to help me heal the trauma of a familial relationship that had been 7 lifetimes in the making. I had gone through this same trauma with the same person/soul seven times. Seven. No wonder it hurt so much. No wonder I felt so stuck. Once I started taking classes to read the Akashic Records, the sacred knowing that heals was slowly revealed to me. As I learned, I practiced on myself, dissipating trauma I thought would be part of my identity for my entire life. And the rebirth I have since experienced is the biggest since discovering I was a medium with intuitive abilities. As a preteen, I finally figured out that all the weird stuff happening in my life was because I was able to see and talk to spirits, as well as intuit things there was no other way for me to know. And my entire understanding of myself and the world around me shifted. Suddenly I had something to offer, something that got me positive attention in a frequently abusive home, something that I could use to help people. I was filled with wonder and curiosity and I was terrified. But I had a place and a purpose and something unique to offer that I believed would allow me to be loved. The more I learned about my gifts and about the universe, the more confident in them I became. I frequently helped people in my immediate circle of friends and family, and as they shared their experiences, my reach spread further as well. I eventually became complacent with what I had learned and what I could do. In the meantime, I was also fighting my own inner battles. Years of therapy and an attempt at using every holistic, spiritual, or natural remedy for depression & anxiety that I could find had helped, to an extent, and finally left me hanging off the edge of a plateau, certain I would drop back into an abyss of depression from which there was no chance at basic functioning. Around this time, a dear friend urged me to learn to read the Records, and I grudgingly agreed without having any idea what they were about. Learning to access the records offered healing of my own trauma that I had come to believe was impossible. Suddenly, after only a few hours of using my own records to practice various healing techniques, I was standing on top of the plateau again and a new path towards progress was in sight. The release of trauma I had carried forward with me through so many lives allowed me to feel lighter, freer, and more me than I ever had in my life. My identity was no longer entwined with all the things that had happened to me; it wasn’t even entwined with the ways I had overcome these things that had happened to me. My identity was finally something that shone through my entire being from my core: from my soul. I now have a greater understanding of my purpose here, of the ways in which I can expand my abilities to offer healing and mentoring to a wide range or people, and the ways in which I can teach people what they need in order to help raise the vibrational level of our planet. Not since my original discovery of my gifts have I felt so empowered; not since then have I had so much hope. This time, however, I have knowledge of and gratitude for the ways I will continue to grow, both in my spirituality, and as a spiritual being having a human experience. Reiki Energy flows from the hands. It follows intention and spiritual consciousness to go where it’s needed most. 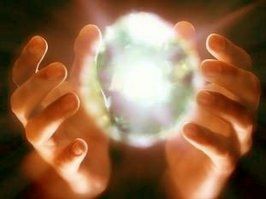 Reiki Energy Work is the practice of energy healing through the laying on of hands. It can also be used by a practitioner by “hovering” their hands, for those who are sensitive to touch, or distantly, for those who are not in the immediate area. Literally translated from Japanese, it means life force energy (ki) guided by spiritual consciousness (rei). Reiki is considered to be an ancient healing practice using the energy that is present in every living thing and in all the universe. Reiki as it is practiced now was defined and taught by Dr. Mikao Usui in Japan in the mid-1800s. Reiki works by flowing through the energy channels in our body, helping to keep them clear and aligned with the chakras, and providing healing energy to any part of the body that needs it. It is a complementary healing method that works with Western medicine to help us maintain optimal physical, mental and spiritual health.